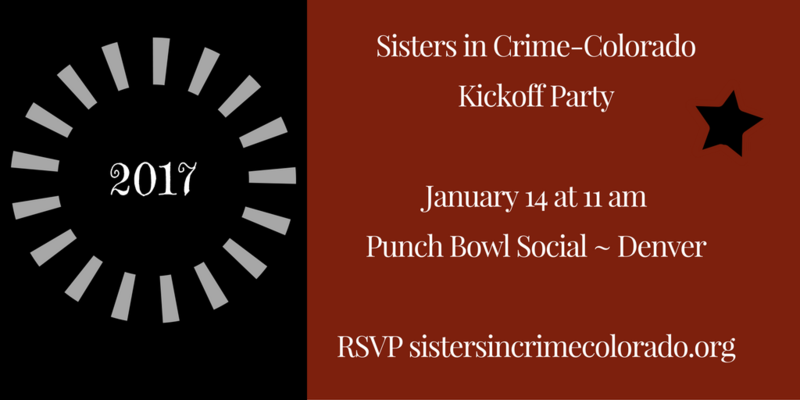 Mark your calendars and RSVP today for our First Annual 2017 Kickoff Party for Sisters in Crime- Colorado! This is purely a social event to get excited about our new year of activities and to get to know our Sisters better. If you know someone interested in joining SinC-CO, please bring them along, but everyone must RSVP. Please note that individuals are responsible for the purchase of their own food and drinks.